ALL PREVIOUS INFORMATION CAN BE FOUND AT THE OLD FORUMS HERE. Right now, all it does is incorporate the new files into the pre-existing English patch. As with the previous thread, don't fill this up with useless chatter. Report bugs, typos, etc ONLY. I just have some typos to report from Magical Amber's stages. Act on this as you please. I read in the last thread that you were done, so do whatever you like. Not sure if this is a bug, but I thought I might as well post. 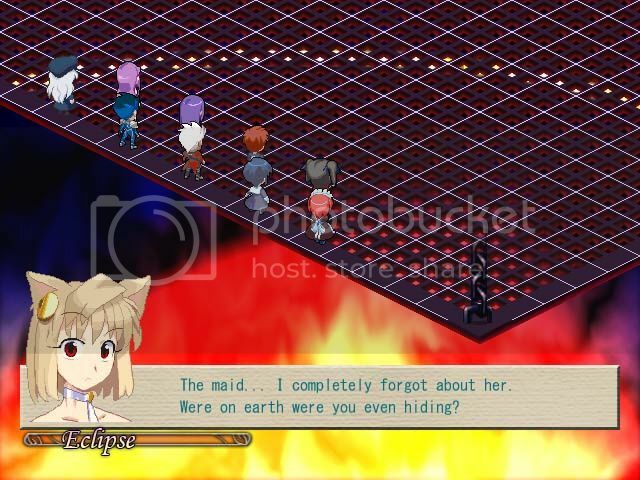 Magical Amber's BGM for her Lovely Sunflower Satellite animation, when in a battle, seems to be the wrong one. Instead of playing the Magical Amber theme(#61 in sound dictionary), it seems to be playing Let Life Loose(#28 in sound dictionary). The right(?) 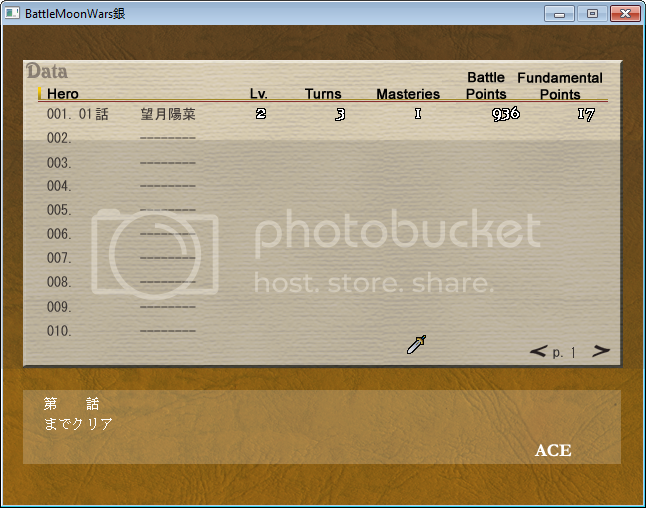 BGM is playing in the character dictionary, though. Minor, yes, I know. But it has been bothering me, so I just wanted to attempt to receive an answer as to where the problem lies; whether it was with me, the patch, or Werk. I completely understand if nothing is done as a result of this post, just putting it out there in case others have experienced the same bug(?). Thanks a lot for the patch all the same. Really couldn't tell you since I don't have it installed anymore, but all the definitions are in a completely different file than the scripts and I only messed with that one to tweak stats into godmod for quick testing. I didn't touch music definitions or the like at all. I just want to ask that after I patched the game, it worked just fine. 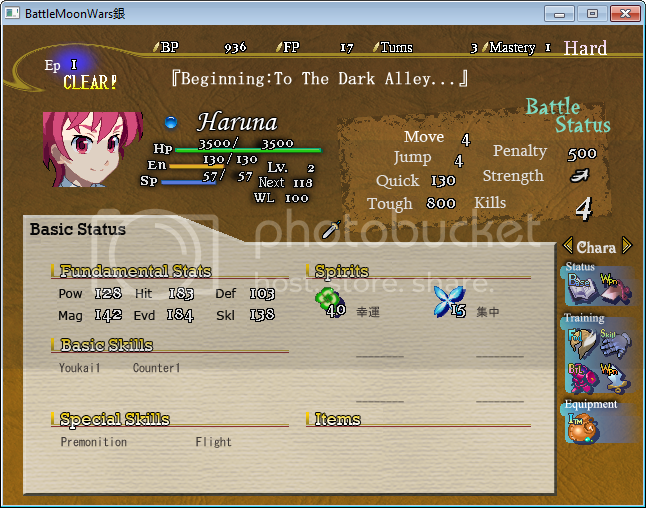 However at the beginning, when I hover the mouse to the skills (from sp/special skills...) and items I can see the English descriptions. After a while, it just disappeared. Is it a bug? I hope I'm posting this in the appropriate section. Hello. I purchased the game yesterday through Melonbooks (because for a few reasons I don't like not legit copies). It appears to be Battle Moon Wars The Best and according to Wikipedia, it is apparently a slightly different version than the 4th game. There 'should' be some things untranslated because they're strings inside the exe and I lack the expertise to alter them on my own and couldn't find anybody will to put the time/effort in to doing it. Most of that, however, appears to be graphical files, meaning that the media files (data2/4/6/8/10/12) weren't updated. The way the patch works is by version checking against the existing media files and then updating them. If they don't match, then it won't update. What I suspect happened is that the later Best package release changed the media files in some way (likely removing data that was not used in the final release), so the media files were all altered. All previous official patches to media files were done by just adding a data10_2 file for example and changing the path targets in the much smaller/easier to manage textual files. IE the media files were always completely static after release across all three or four years of its development. I have only the serial releases (and they're backed up/not on this system), not the final package release though, so I'm just speculating. And no, I am not going to just make a massive pack of them because that is literally all that the game is. I can't really do much to help you myself. That's what I feared. Thanks for this explanation. 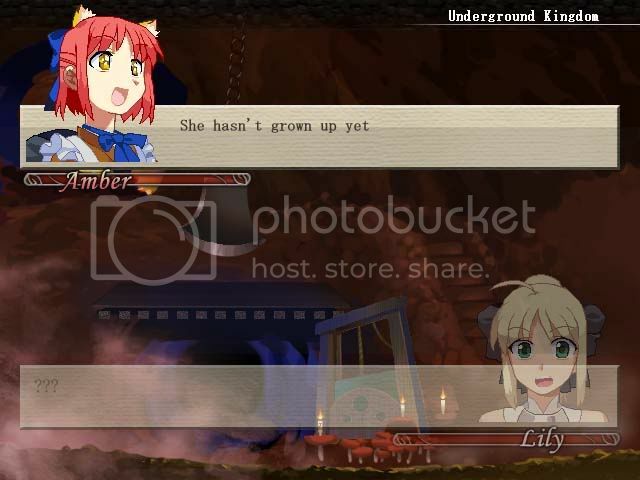 Most of the storyline is translated thanks to your patch anyway so since I'm a huge TYPE-MOON fan having the names untranslated is not a problem at all for me. As for some of the commands or icons I'll just figure out their meaning as I progress through the game. Thanks for the reply, and more than anything, thanks again for this English patch! There is a problem with the game, at stage 27. After defeating Archer, when he's supposed to use Unlimited Blade Works, the game crashes. I have no idea why this happens, do you think you can help? do you mean that these arent really translated? the title of the stages in the saves in the first pic and the name of the skills on the second pic.. There's some kind of memory leak issue in my copy of BMW. If I try to play it for extended periods of time (or just quickload a lot) my computer slows down tremendously (to the point where it's hard to even close the game via task manager). I'm not quite sure what version I'm actually using. I think it's Battle Moon Wars: The Best? I used both of the patches found in the OP in the order listed. major bug (maybe only for me ? still trying to see what cause it). Useful items are never dropped again since Act IV (using patch 4V_95). Actually, the only thing i got so far are the beans.